Crazy Shenanigans: The Countdown Has Started! then you would be correct! I'm so excited to finally be going there! I use to only live a few hours away when I lived in Alabama but never made the trip up and seeing as how I go to Nashville and Pigeon Forge a lot, it's shocking that I've never stepped foot in Memphis. I figure it's about time I made my pilgrimage to the home of the blues and the birthplace of rock n' roll! 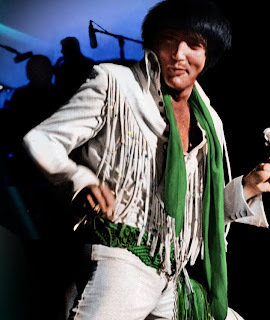 Plus, I'm a huge fan of Elvis (take off the judging hats everyone). 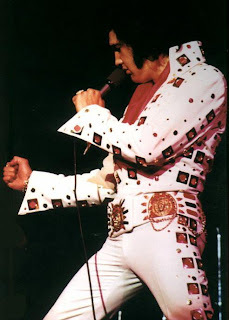 He rocked, his music rocked and his jumpsuits rocked even harder! Here's a few of my favorite ones... Needless to say, I'm really excited to see all of it in person! 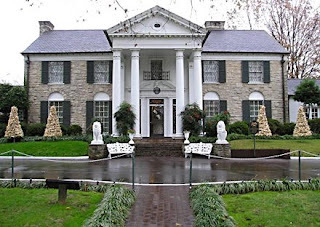 I have a whole dedicated to touring Graceland. 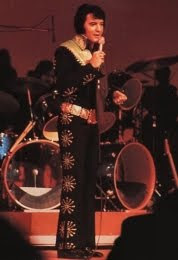 Yep, that's right...I just posted about Elvis and my love of the jumpsuit AND I am excited! You're crazy and I love it :) I've always wanted to go to Memphis! Can't wait to hear about it. yay!! I am so excited for you! I love to travel this looks like its going to be a fun trip! Woot woot! I have been there. Loved it. Going on the tour of Graceland is a must. I also enjoyed the BBQ and the downtown music scene. Oh fun! That is going to be a great time! Memphis! I'm in love with Elvis and used to live in West Memphis, AR. 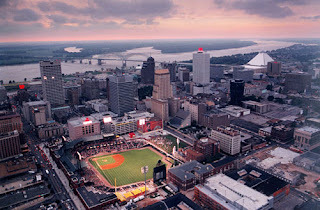 We visited Memphis often - it's such a great city! Enjoy your trip!!! Fun!! I've always wanted to go! Looks like a cool place to go. Maybe I will add that to my ever growing list. Jennifer!!!! When will you be here?! 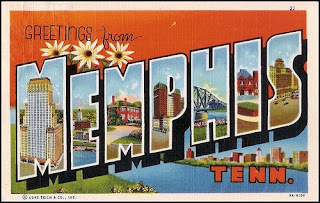 I live in Memphis and would love to tell you some great food places and fun things to do! It's always good to get ideas from locals, so you're not stuck in too much of a tourist rut. Although, being a tourist in Memphis looks like a lot of fun... there's so much to see and do!!! Anyway, if you want any advice, let me know, and I will shoot you my email address! You are going to LOVE Memphis! SWEET!!! I've never been to Memphis, but I've heard it's unbelievable. So I am going to just have to live vicariously through your pictures. You are going to have the greatest time! You always take such fun trips!! Wow, you really have been bitten by the travel bug! I'm so jealous of all of your recent travels, take me with you! I bet Memphis will be fun! How fun! I'm super jealous of all your travels! I love Elvis too! Never thought too much about his jumpsuits but they do look pretty rad! We luuuuurve Memphis! 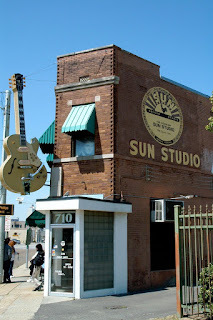 Beale Street and Sun Studios and and and! Hueys is a great place for burgers and homemade rings....and Blues City Cafe makes THE most incredible Catfish. 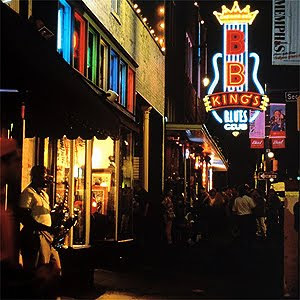 BB Kings has a great atmosphere and the food isn't bad either. We've been to Memphis a bunch and still haven't hit the Rendezvous. I've heard that they have make awesome ribs. Makes me wish I was going too!! I will look forward to hearing all about it! Memphis should be a lot of fun. There is no shame in lpoving Elvis. He was great! That's awesome! You're gonna love it - so much culture there! I love to travel too but haven't been able to do it so far this year. I'm soooo happy for you though!! Hope it's a fun trip. Can't wait to hear all about it! you are one lucky chica... didn't you just get back from Orlando?!? I was in memphis in July, but it was for work and there for much less fun. 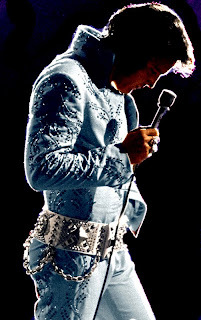 I love Elvis too, have a great trip!! I want to go to Memphis too! Can't wait to hear your recap. I have always wanted to go to Memphis! I can't wait to see all of the fun things you do while you're there! OH I am an Elvis fan too! Looks like a great trip! I LOVE to travel! So I am now following you to see where your adventures take you. Retunr the favor if you like! oh have fun! You can visit my sister when you are there! haha, jk of course :) Well, unless you really wanted to! My sister has gone to school there for the past 2 years and I live in Nashville and have only been once! :) So don't feel bad about not going! haha. I am SUPER jealous that you get to travel so much! Vacation Recap Part 2-Harry Potter! A Winner & The Weekend!